Trollhunters Sword of Daylight #3DThursday #3DPrinting « Adafruit Industries – Makers, hackers, artists, designers and engineers! 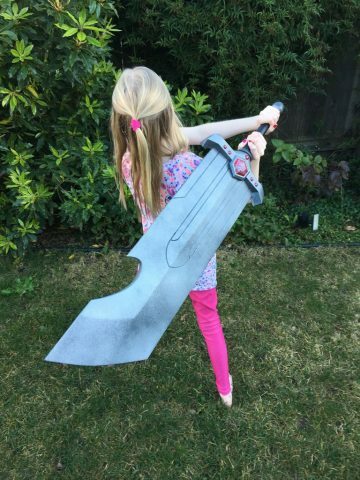 My daughter wanted the Sword of Daylight from Trollhunters. I’m new to 3D printing so I took it on as a learning project. Modeled in Fusion 360 I made it to fit on a 1/2 inch wood dowel that is 25.6 inches long. I made little connectors to strengthen the seams.